When you think about someone you have worked with, perhaps your Manager or a colleague, how do you picture them in terms of their emotional control? Are they someone who never lets their temper get out of control, no matter what problems they are facing? Or are they someone who has the complete trust of their staff, listens to their team, is easy to talk to, and always makes careful, informed decisions. These are qualities of someone with a high degree of emotional intelligence. To be effective, Leaders must have a solid understanding of how their emotions and actions affect the people around them. The better a Leader relates to and works with others, the more successful they will be. Emotional intelligence (which is sometimes referred to as EI or Emotional Quotient) is the ability to understand and manage your own emotions, and those of the people around you. People with a high degree of emotional intelligence know what they're feeling, what their emotions mean, and how these emotions can affect other people. Daniel Goleman is the author and Psychologist who put emotional intelligence on the business map. He found that, beyond a certain point, there is little or no correlation between IQ and high levels of professional success. The more that you, as a Leader, manage each of these areas, the higher your emotional intelligence will be. According to Goleman, a person needs above-average intelligence — which he defines as one standard deviation from the norm or an IQ of about 115 — to master the technical knowledge needed to be a Doctor, Lawyer, or Business Executive. But once people enter the workforce, IQ and technical skills are often equal among those on the rise. Emotional intelligence then becomes the important differentiator. In fact, emotional intelligence accounts for nearly 90% of what moves people up the ladder when IQ and technical skills are roughly similar (Harvard Business Review, January 2004). Great Leaders are aware of their own leadership style. Our previous blog Creating Situational Leaders explored the impact of ‘behaviour’ on ‘influence’ - this follows the theory of the Situational Leadership® model, which provides Leaders with an understanding of the relationship between an effective style of leadership and the level of ‘readiness’ followers exhibit for a specific task. Emotionally intelligent Leaders are flexible in adapting their leadership style to those they choose to lead. You will influence and engage employees by being socially savvy regarding which leadership style would be the most appropriate with certain personalities and in specific situations. Truly great Leaders identify, understand and not only manage their own emotions, but are able to do that with others in a very empowering way. If you're self-aware, you always know how you feel, and you know how your emotions and your actions can affect the people around you. With self-awareness a Leader can focus on the strengths they possess, and knowing when they should hire individuals who perform well in areas where the Leader lacks astuteness. Having awareness also includes understanding others and promoting their strengths. Having the right skills in the workforce, and playing to the strengths of individuals will lead to improved productivity as well as better staff morale. This element of emotional intelligence, according to Goleman, also covers a Leader's flexibility and commitment to personal accountability. Self-regulation therefore means that Leaders deliver what they say they will, resulting in great confidence in their ability to take the company forward, and with employees willing to follow them. Leaders possessing emotional intelligence are not afraid of the emotions of others. They do not manage just from the bottom line. Their style is about growing an organisation that cares about their employees and anyone who conducts business with them. Everyone is treated with consideration. This results in good morale, and also better staff retention and commitment. Leaders who share their vision or strategy with those around them so everyone is on the same page, lead a more efficient workplace. People have to believe in their Leader, and communication is key to that credibility. Motivation comes from effective communication. Leaders who have good social skills are also good at managing change and resolving conflicts diplomatically. They're rarely satisfied with leaving things as they are, but they don't sit back and make everyone else do the work. They set an example with their own behaviour. Leaders who are great listeners and communicators motivate staff, are able to drive through change with the commitment and support of their teams, and communicate a compelling vision that staff work together to deliver. For Leaders, having empathy is critical to managing a successful team or organisation. Leaders with empathy have the ability to put themselves in someone else's situation. They help develop the people on their team, challenge others who are acting unfairly, give constructive feedback, and listen to those who need it. Many Leaders are analytical, but if they are just cold and calculating, there may be too much distance between them and their subordinates to truly be on the same team. Leaders can be leading a situation which is not moving in the direction or at the speed that they should. Whatever size of business, it’s important not to overreact. People look to the Leader for cues on how to respond to the circumstances and if a Leader is confident while taking care of issues, it will help keep the team feeling the same. Great Leadership is about having the confidence to make decisions and not second guess them. Those who inspire others to follow into the unknown, do so possessing self-confidence. So, being a Leader is more than strategy, it involves a true understanding of your emotions and those around you. Without this, bad communication, misunderstandings and mistakes can be made. In many organisations, interacting with superiors and peers is a part of every-day life. Emotional Intelligence is the ability to manage these interactions to improve relationships, build trust and create a teamwork culture. After Motorola provided EI training for staff in a manufacturing plant, the productivity of more than 90% of those trained went up (Bruce Cryer, Rollin McCraty, and Doc Childre: “Pull the Plug on Stress,” Harvard Business Review, July 2003). Emotional intelligence increases corporate performance for a number of reasons. But perhaps the most important is the ability of Managers and Leaders to inspire discretionary effort — the extent to which employees and team members go above and beyond the call of duty. The workplace is more diverse than it's ever been. Combine this with an increase in teams working cross-functionally, the ability to be able to understand and use emotion as a source of insight, creativity and influence is now more important than ever. According to Goleman, emotional competencies are not innate talents, but rather learned capabilities that must be worked on and can be developed to achieve outstanding performance. Goleman believes that individuals are born with a general emotional intelligence that determines their potential for learning emotional competencies. Emotional Quotient levels (EQ) change over time (unlike Intelligence Quotient which remains static), so it can be developed, refined and enhanced over the course of your life. If you want to improve your own Emotional Intelligence the ‘Leading With Emotional Intelligence’ course will provide an in-depth understanding of the impact emotions have on thoughts and actions. 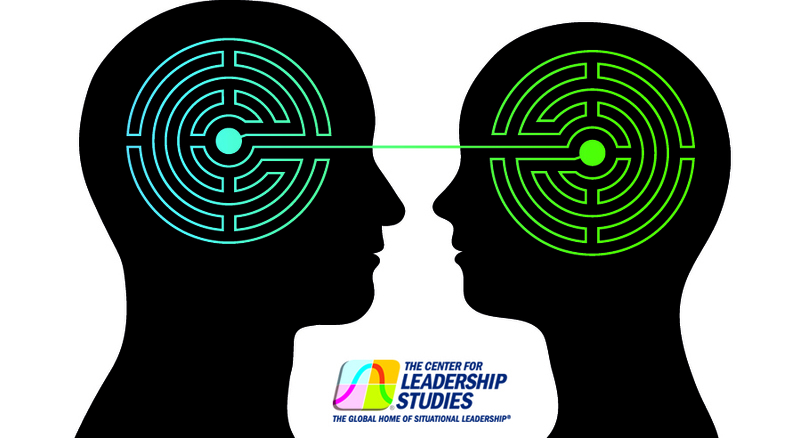 Leading with Emotional Intelligence is a new course, available as an in-house or public course from GBS, the UK Affiliate of the Center for Leadership Studies (CLS), as part of their leadership curriculum. By harnessing the power of your Emotional Intelligence, you will be able to effectively motivate, engage and strengthen cooperation within your teams, which will naturally drive performance.